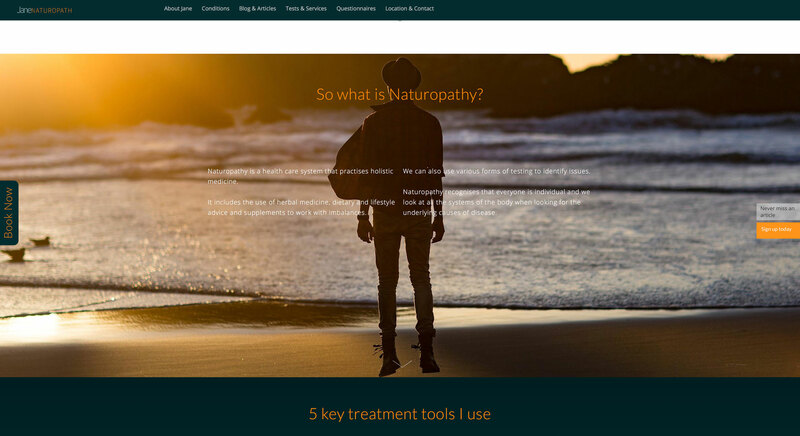 This site was a total rebuild after the previous site became old fashioned and started to lose ground in the competitive natural therapies practitioner category. 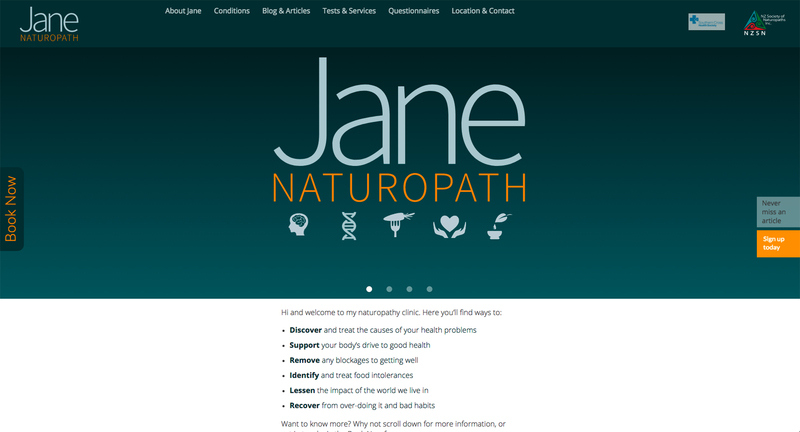 The site is clean and establishes a strong new visual identity for the client. Information on the site is broken up into easily understood sections with strong visuals and a dramatic reduction in copy. 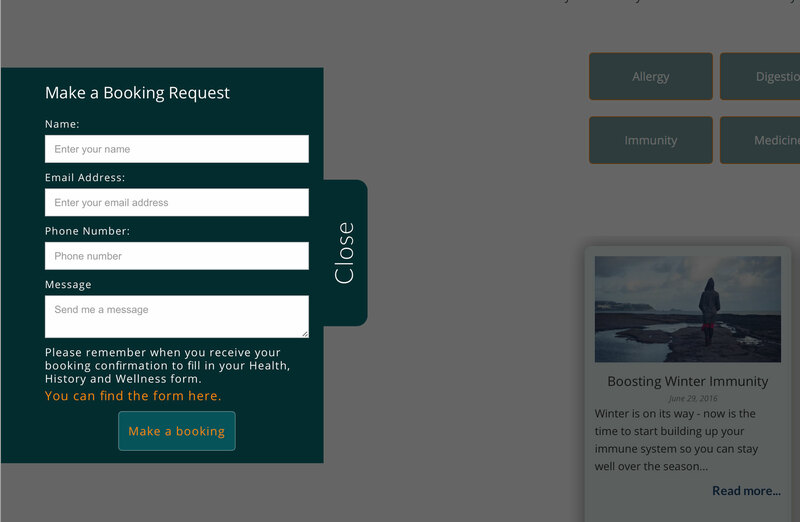 The booking tab is on each page and works across all devices and sizes. 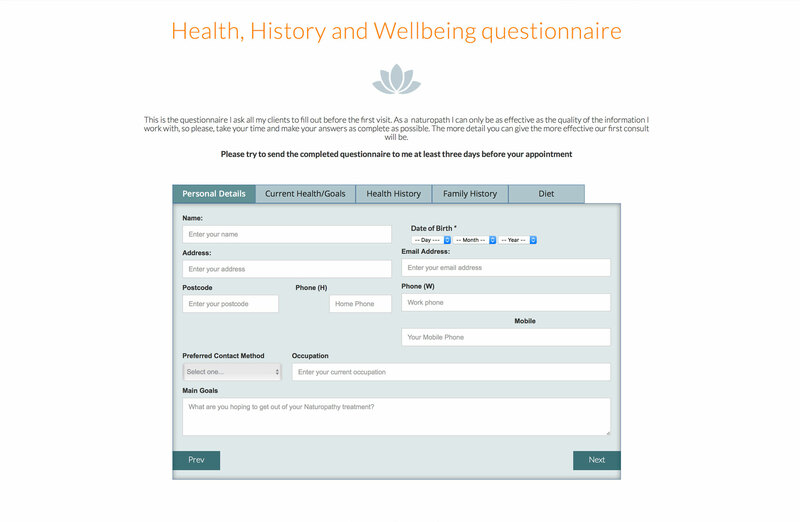 There is also a complete Health History form prospective clients can fill in and submit before their visit - this drives both efficiency and strengthens client engagement with Janenaturopath.